It is important for individuals to know their lipid profile because abnormal cholesterol levels are associated with increased risk of heart disease, stroke and other problems.If cholesterol levels are outside optimal ranges, exercise, improved diet and/or medication can help. When statins are combined with a healthy and balanced diet they can work to lower a patients bad cholesterol levels. 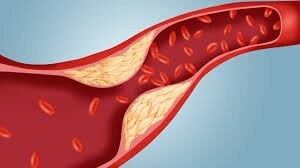 Cholesterol itself isn’t bad. We all have and need this wax-like substance in our bodies.